Stubbs Bucket Muzzles are high quality muzzles, which enable your horse to still drink & breathe freely, whilst preventing them from eating excessively. 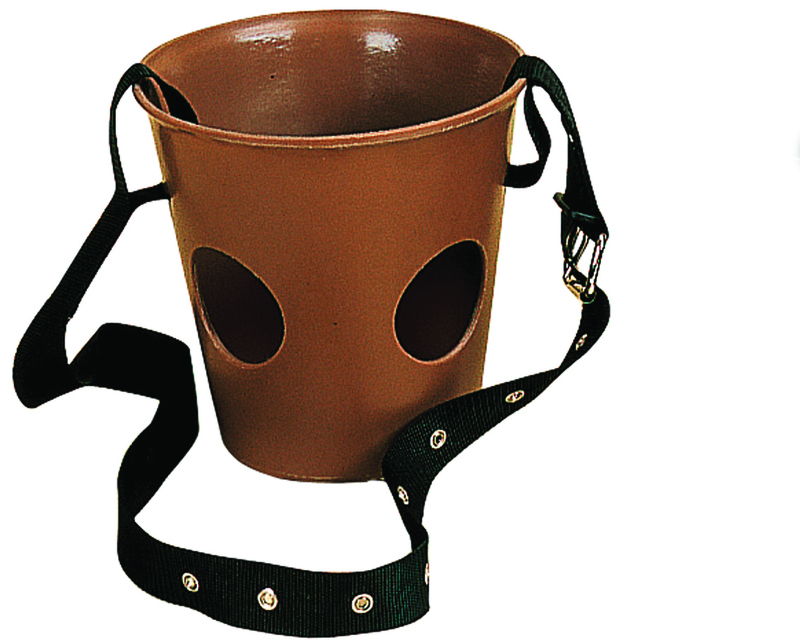 Stubbs Bucket Muzzles come with a webbing strap to keep them in place other than the foal one, which has 3 loops to attach directly to the headcollar. Foal Muzzle - Height 14cm, width 14cm, depth 16cm. Pony Muzzle - Height 16cm, width 18cm, depth 20cm. Horse (standard) Muzzle (our most popular size) - Height 18cm, width 20cm, depth 22cm. Horse (large) Muzzle - Height 21cm, width 21cm, depth 23cm. Large Horse - 5cm wide over head strap with eyelets and buckle. Strap length 112cm rim to rim measurements.